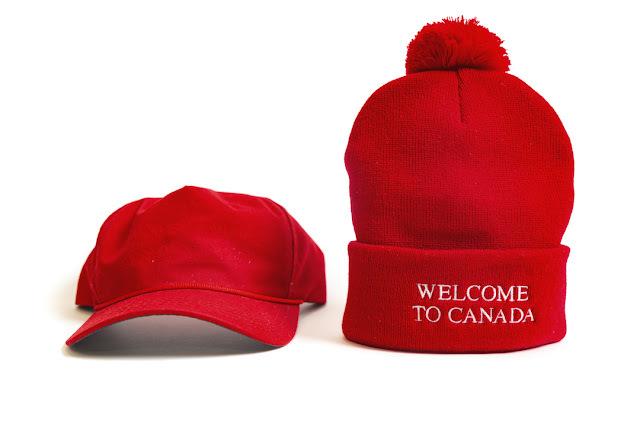 The “Welcome to Canada” toques are available for purchase at www.peace-collective.com/collections/unravelhate and the original toque made with MAGA hat threads is being auctioned online. Profits from the sale of all toques are being donated to WoodGreen Community Services, a United Way partner charity that helps refugees and immigrants settle into their new lives in Canada. Peace Collective is a lifestyle clothing company aimed at making a difference. It was established in 2014 with a mission to capturecultural sentiment and create a movement of creativity and giving back. The brand is rooted in the one-for-one model and the ideaof helping out those that are less-fortunate than others.